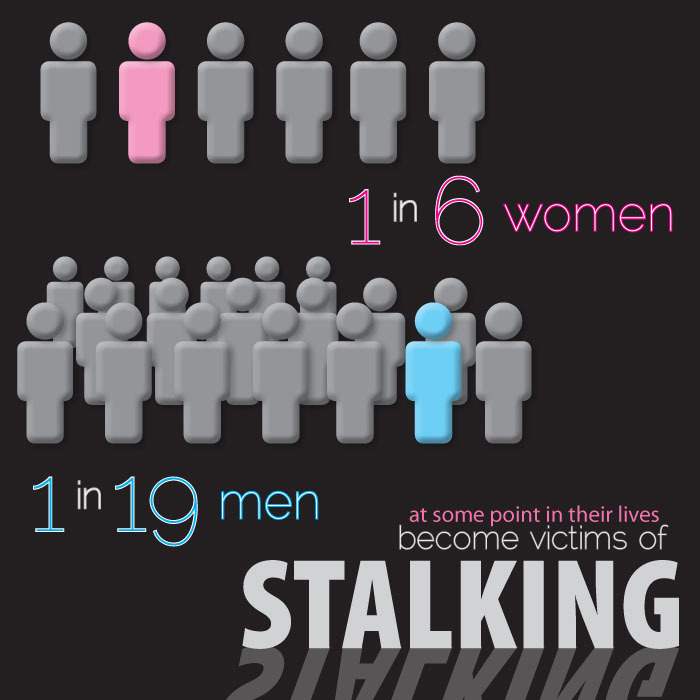 I want to talk about something today that is very seldom talked about seriously...stalking. 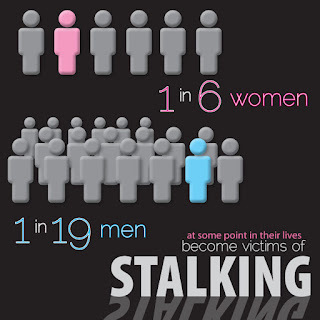 Unfortunately, many of us will have to deal with a stalker in some way or another at some point in their lives. It may be an ex-boyfriend, acquaintance or the spouse of your ex. It may be someone you work with, someone you were friends with or someone you simply said 'hello' to at the supermarket. Regardless of who, or how, it is a very frightening experience; at its worst, it can be dangerous and deadly. We've all heard the jokes, read the funny cards and heard it referred to as "intense research". I've even read a businesses website that said "stalk us on Instagram". I can tell you this, if you've ever been a victim of stalking, it's very real and absolutely not funny. It's not a compliment, it's a nightmare. When I was in college, I started dating a boy. Not long into the relationship, I started noticing a few "red flags". Then came the story of his ex-girlfriend. He told me of how she broke up with him and it infuriated him. So he waited until she left her house, went in and put a pan of grease on her stove and turned the burner on high. Essentially, he burnt her house down. Was this story true? I have no idea. Was it meant to scare me? Absolutely. And it worked. As the relationship went on, It turned abusive mentally and physically. At one point, he even told me he wanted to shoot my mom because she didn't agree with our relationship. Just one more way for him to add fear and keep me under his thumb. One day, while sitting in class chatting with my friends, I finally got up the courage to end it. With help from my friends, we devised a plan. He lived a half-hour from me. So, I knew if I did it over the phone it would take him at least a half hour to get there. If I packed my bag ahead of time, I could leave as soon as we hung up. That would give me time to get in my car and drive to a friends house. I was scared to death, my heart felt like it was beating out of my chest, but I picked up the phone to make that call. With my voice shaking, I said the words. I want to break up. He was instantly furious; screaming, swearing and breaking things. In the background his Mom started yelling to me to run, he was on his way to my house. With that, I hung up the phone and ran out the door. I drove to a friends house an hour away. I will never forget that drive and the fear I felt the entire time. The next morning, as I pulled into college I couldn't wait to tell my friends how brave I was! And then my heart dropped. He was standing there waiting for me. He had spent the entire night walking the 40 miles to my school. Thank God I had some super amazing friends that surrounded me and walked me in to my class. As class started, I looked out the door and there he stood, glaring at me. He stood there through that class, and the next two. Finally, my amazing Mama came to the school and he left. I wish I could say it ended there. Three days later he was admitted to a mental facility by his parents. When he got out, the stalking began. I was followed, I had rocks spun all over my car, I was chased and nearly run off the road and I cannot count the phone calls I received. At one point he stopped at my house and recounted my entire previous weekend. I will never forget the day I was home alone and he pulled in. Thankfully, I already had all the doors locked. I hid under my bed and called my friend as he pounded on the door, yelling for me to open it. I told my friend what he was doing, saying and driving so if anything DID happen to me, someone would know. The fear was so real, just thinking of it can take me back to that day. A few months later I started dating my husband. He told me about a night, before we met, where he had actually spoken to the stalker. He noticed that in the stalkers car, he had a ton of pictures of me taped to his dash. When he asked him about it, my stalker told him it was his girlfriend. He then pulled a gun out from under his seat and showed him. He said that if he ever found her with another guy he was going to shoot the guy, shoot her and then shoot himself. Praise the Lord that never happened. I spent four months repeatedly getting phone calls from an anonymous man, asking me to "go out" with him. He would never tell me who he was, he knew my husbands work schedule and he knew my health issues. He would repeatedly call until someone answered, even as much as 15 times in a half hour. He would talk to my littles if they answered and even called when he knew my husband was home because he had to hear my voice. He told me he knew I was unhappy in my marriage (he's obviously never read my blog, right y'all) and he needed me to meet him. This instantly took me back to being that scared-to-death teenage girl. There isn't anything worse than feeling scared in your own home or feeling as if you constantly have to look back over your shoulder. After months of feeling safe, one phone call from last years stalker was all it took. My daughter answered the phone. He said two words, and sent her reeling into an anxiety attack. Once I got on the phone, I realized it was perhaps the creepiest phone call yet. I am praying, praying with all I have, that this isn't happening again! If you have taken the time to read my stories, you can see stalking is very real, very scary and very dangerous. Hollywood has produced romantic comedy after romantic drama telling men if they make some grand gesture, even if it's inappropriate, they will get the girl. These movies teach girls that crazy, unstoppable pursuit equals true love. Not to mention the glamorization of stalking and abuse in 50 Shades of Grey. But as Gavin de Becker, the nation’s leading expert on violent behavior says, “Persistence only proves persistence – it does not prove love. The fact that a pursuer is relentless doesn’t always mean you are special – sometimes it means he is troubled.” Taking relationship advice from Hollywood is a bit like asking a lost person for directions. 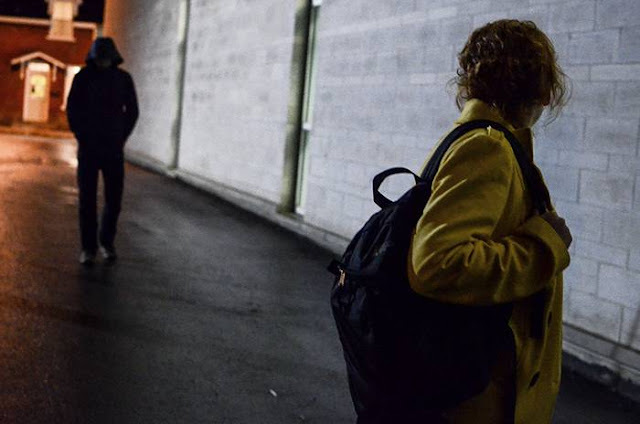 The music industry has sensationalized stalking as well. As we see with Robin Thicke's song Blurred Lines "I hate these blurred lines, I know you want it" and Randy Travis's song What'll You Do About Me "Well you can call your lawyer, you can call the fuzz, You can sound the alarm, wake the neighbors up, Ain't no way to stop a man in love, Now what'Il you do about me". 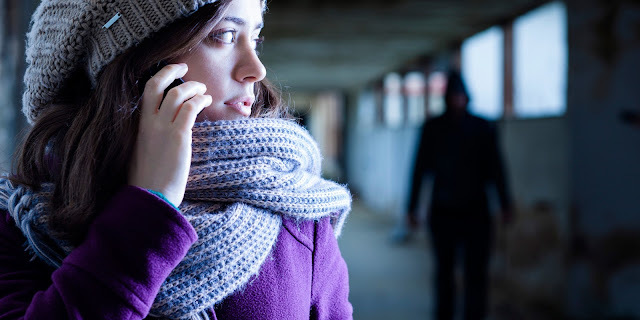 If you have become the focus of an obsessive stalker, take it very seriously, and seek proper legal and protection advice as quickly as possible.